Enhance your business or commercial space with custom outdoor lighting designs. Our exterior lighting will not only accent your building and set the right atmosphere, but it will also increase your building security, and attract more foot traffic, all while using high quality LED lighting systems. Increase your curb appeal with custom, professional quality landscape lighting to enhance the appearance of your commercial space at night, attracting interest and increasing foot traffic. We also offer color branding to increase curb appeal and let visitors know they’ve found the right place. 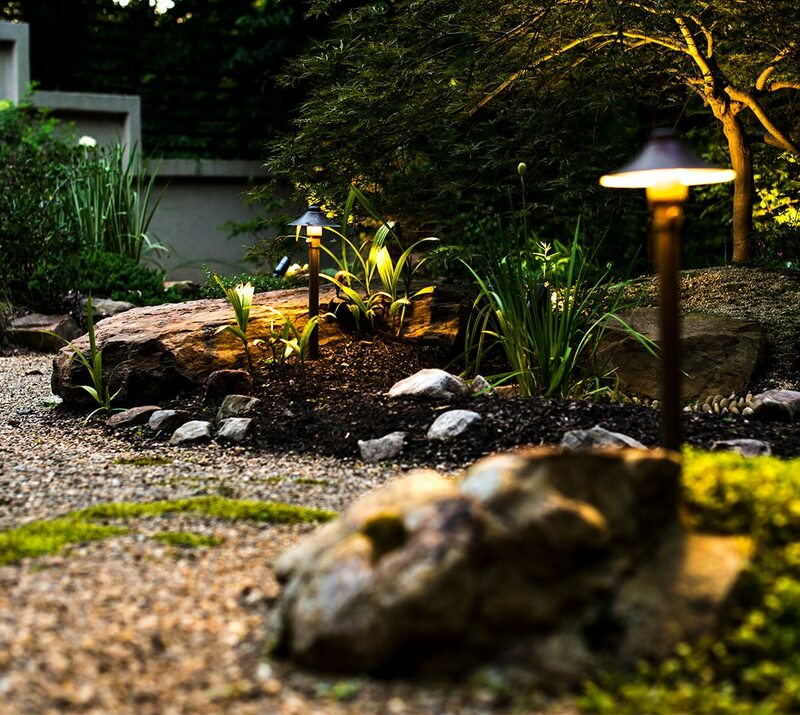 Set the mood for your business with custom landscape lighting services. Whether you’re going for a welcoming, energized feel for your store, a warm and luxurious “resort” vibe for your pool area, or a peaceful and safe ambiance for residents of your subdivision with soft landscape lighting, we know how to perfectly place exterior lighting to set the mood and fit your vision. Don’t let your commercial building fall victim to burglary or vandalism. A well-lit building is 3x more likely to be avoided at night, keeping your building and everything inside safe and secure. And all new custom lighting installations come with a Lifetime Warranty, so you know your investment is covered. Are you looking for a high-impact design to wow your customers, or an understated, inviting effect to welcome visitors to your commercial space? 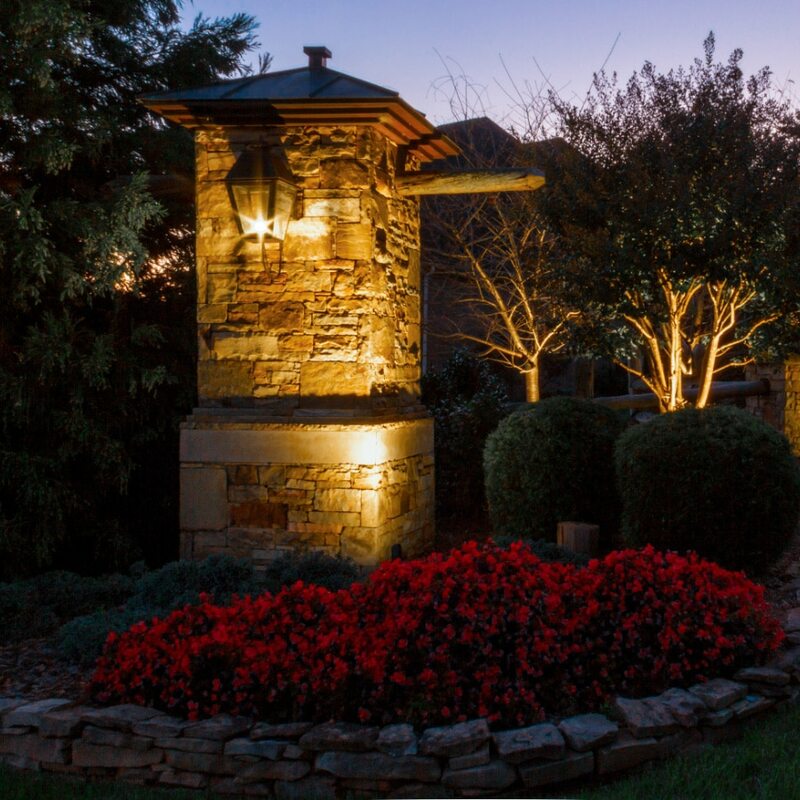 No matter what your needs are, we offer custom landscape lighting solutions to fit your vision. We’ll start by walking your property with you and listening to your wants and needs, while also providing advice on the best ways to light your space. Then we move into the design phase to put together a lighting design that’s perfectly tailored for your space. Once the design is approved by you, our professional landscape lighting technicians will install your lights. Ready for your FREE landscape lighting design? Contact us today and ask about pricing and specials available!